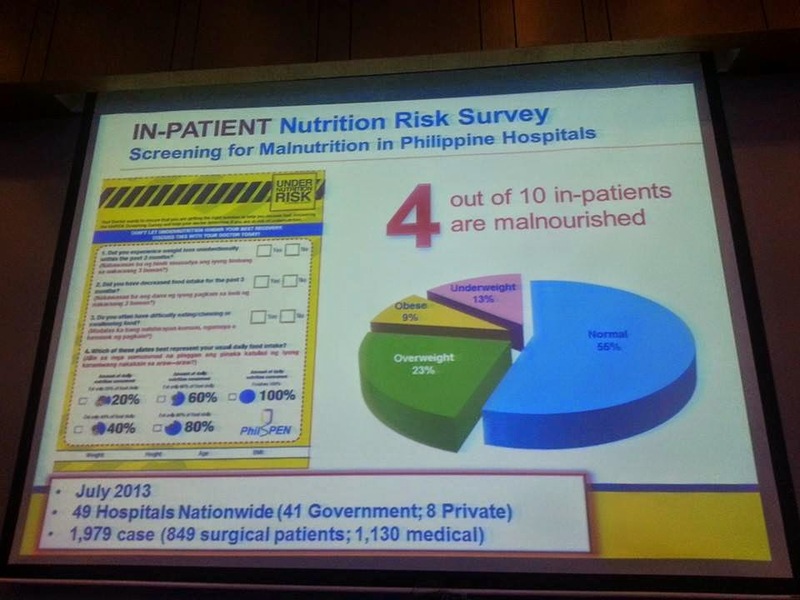 4 out of 10 in-patients in the Philippines are malnourished. Since health is indeed wealth, we should all be aware of the significance of oral nutritional supplements these days to save money on hospital bills. 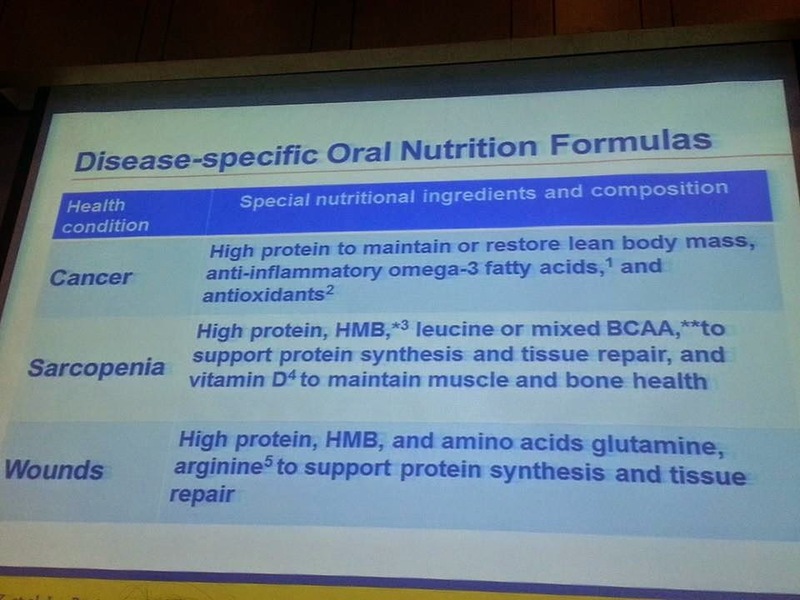 I joined in fellow blogger friends learning from Abbott Philippines' "The Value of Oral Nutrition Supplements Reducing Hospital Stay and Cost" at F1 Hotel, Taguig City last Saturday with Dra. Nina Sison, President of Philippine Society for Parenteral and Enteral Nutrition (PhilsPEN) and Dr. Jose Rodolfo Dimaano Jr., Medical Director of Abbott Nutrition Philippines. Perfect to share before celebrating the Nutrition Month starting tomorrow, the picture of malnourishment in the Philippines had dramatically changed not just showing a picture of a pale, thin and sickly child to including a fat undernourished kid because of poor lifestyle and preferences. Apparently, PhilsPEN conducted a survey among in-patients on their eating behavior and the results showed the alarming increase of malnourishment due to loss of appetite taking too much medicines. I've experienced this in the past after so many surgeries on my left leg and ankle. The two doctors enlightened me and re-confirmed my previous belief that proper nutrition greatly affects the speed of recovery. 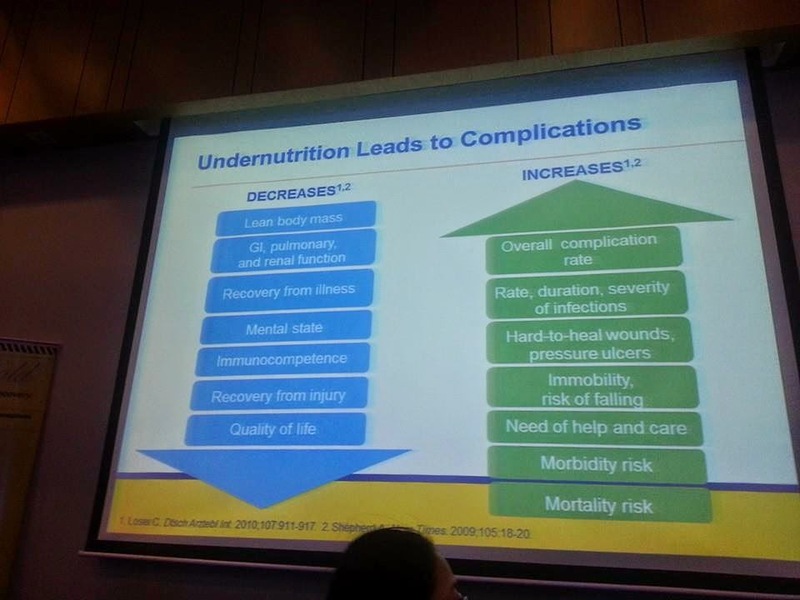 Undernutrition leads to complications exposing us to more risks to infection and other morbidity and mortality risks. It was also another reminder for me and for all teachers who skip breakfast every morning. Oral nutrition supplements (ONS) do help recovery of the body to sustain strength and stamina to face the daily tasks and hazards. I was also reminded of Sarcopenia and how muscles are most important in gaining better bone health. High protein food must be consumed to help build muscles matched with exercise. For those of you like me who had demylineating disease, this particular fact also reminds us all of taking everything in moderation. I gained weight which made my walking more difficult. I knew it was psychological and I have to learn to control my cravings. Abbott's Ensure food supplement helps in gaining the right amount of nutrition our body needs especially during hospitalization. It may also be taken by anyone (regardless of age) just to keep fit and balanced. In two variants, Ensure Gold and Ensure Acti-M2, both powdered oral nutrition supplements we've all heard doctors recommend helps ensure proper nutrition. The Acti-M2 according to Abbott Philippines Product Manager is for the health buffs who wants to watch their diet and the Ensure Gold is for the elderly and those recovering from surgery. 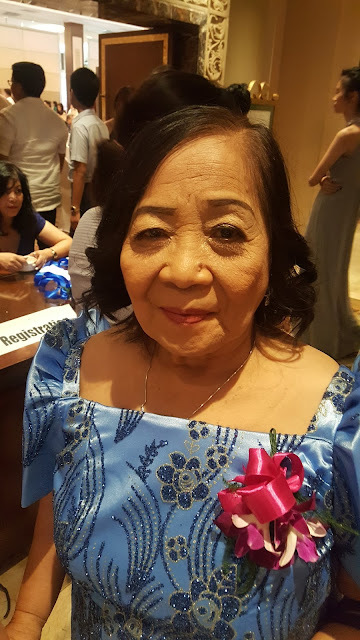 I've seen so many elderly couples buy Ensure Gold after church on Sundays and it would be great news that Abbott Philippines' now offers discount and membership to EnjoyLife Club. 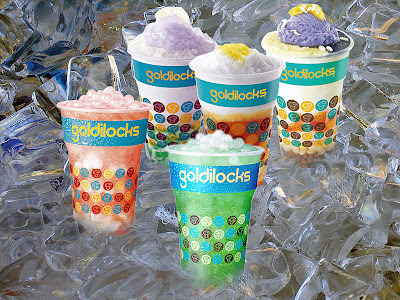 It's FREE and they do not just offer special discounts every purchase of participating products within maximum limit per month. Enjoy Life Club also gives FREE professional nutrition care advice and personalized meal plan from a team of registered nutritionist dieticians. With oral nutrition supplements like Ensure, 21% or 2-3 days may be reduced in hospital stays thereby reducing the hospital cost also at 21.6% less. I thought of not just the hospital stay but maintaining a balanced nutrition if we cannot keep eating a balanced diet every meal. Like the elders I've met in church and fellowships, I trust Ensure. 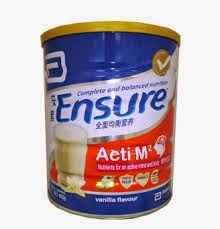 It did help me recover faster when I was hospitalized 7 years ago for metal implant surgery of my ankle and now I'm considering of drinking Ensure Acti-M2 and Ensure Gold to help me gain better health and nutrition. Ensure Gold and the new Ensure Acti-M2 are available at all drugstores and groceries nationwide. 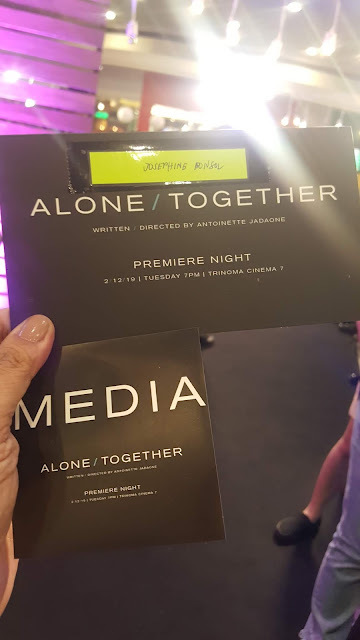 For more information, visit www.abbott.com.ph. Call Ensure EnjoyLife Club hotline number (02)995-1555 or (1-800-10-995-1555) from Mondays to Saturdays 8am-8pm or you may email familyties.ph@abbott.com for more updates on member information. 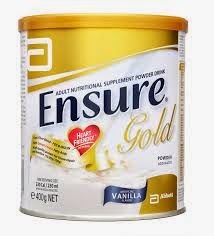 I received a free sample of Abbott Ensure Gold from Abbott Nutrition adding to my stash of oral nutrition supplements but the opinions here are my own.